Here is some information about a sweet local business called Nana's Itty Bits that is making their own jewelry for moms and caretakers of infants. We are so excited to giveaway one of these to one of our lucky readers. Keep reading for details. Nana’s Itty Bits is an online WAHM business creating custom and ready-made caretaker necklaces. We are a mother-daughter-granddaughter team. Daughter (Trista) is the person you talk to for orders, custom designs, payments and customer service. Nana (Pam) is the talented artist that makes each and every necklace come to fruition. And of course our Itty Bit (Jessa) gives each design a test run to ensure that your Itty Bit will love your necklace! We specialize in custom designs and coordinating necklaces with a favorite baby carrier. We specialize in caretaker necklaces, also known as a nursing necklace, feeding necklace or mother’s jewelry. Our necklaces serve as multi-sensory stimulators designed to sharpen visual skills and avoid head turning distractions. 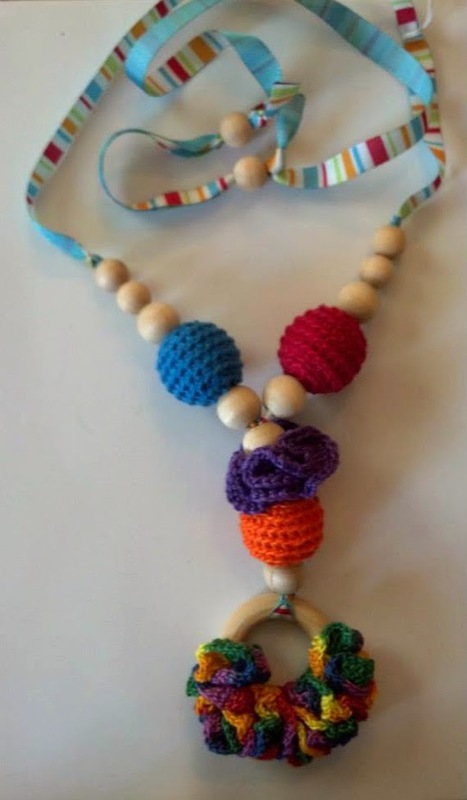 Often a caretaker will wear our necklaces during breast or bottle feeding, baby wearing or play time to give baby colors, shapes and textures to focus on. As baby gets older, the necklaces become something they can reach for and play with--saving skin, hair and clothing from painful pulling and pinching. Nursing necklaces are also recommended by La Leche League International to give babies something to hold on to while nursing. We offer caretaker necklaces wrapped in fabric as well as beaded designs strung with hand crocheted beads and accents as well as smooth unfinished beads and rings. 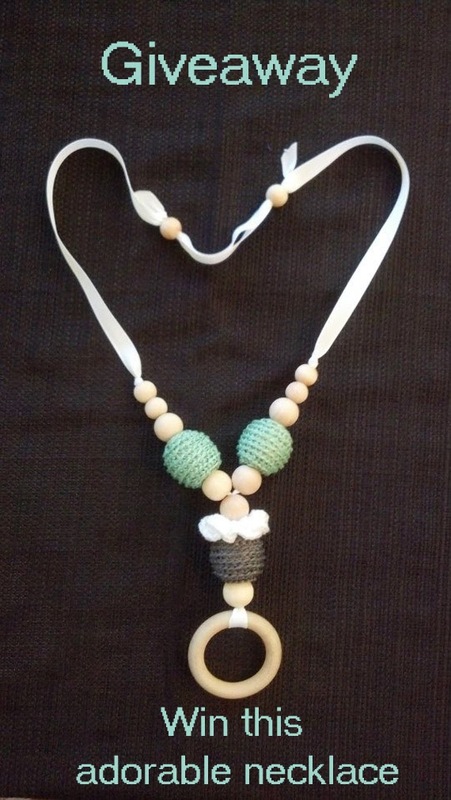 All of our necklaces are adjustable and made with natural fabrics and unfinished solid pine wood beads. Our necklaces are made and shipped from a smoke-free, dog-friendly home. We will be giving away one of these necklaces. 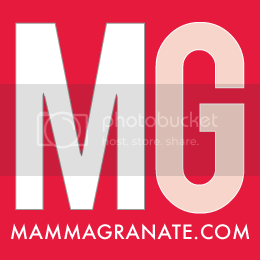 To enter the contest, you must like our Facebook page here and Nana's Itty Bits Page here. Then you must share this post on your Facebook timeline and comment either on here or on of Facebook page that you have shared. Winner will be picked on Sunday Jan 19th. Good Luck! Thanks a lot for sharing such a useful information, ideas with us. This is a great blog which will definitely help us in selecting perfect match of Ring.